Take one of the most sustainable agriculture products in the world. Add increased demand from the United States for the beverage most associated with it. Toss in a lackluster economy that makes saving every penny important, and offer manufacturers a cheaper (albeit unsustainable) alternative that consumers don’t seem to mind. Look the other way at destruction of one of our globe’s top biodiversity hot spots, a heritage way of life, and future potential for what was just beginning to prove itself as a miracle material. The result? Today’s most unknown agricultural crisis, which could be solved by American women through their informed purchase decisions when shopping for their next meal. I’m talking about cork, and no one in the United States seems to care. Well, Mario Batali, Bobby Flay, and other top chefs in Vegas who participate in a cork recycling program that upcycles wine corks into new consumer products care. Patrick Spencer, the Executive Director of the Cork Forest Conservation Alliance, based in Salem, Washington, cares. Plus, those (including the U.S. Government) who are using cork for emerging purposes (such as aerospace heat shields; lightweight public transportation components; innovative clothing and furniture; and easy-on-the-joints, germ-reducing flooring) care. The general public, however, simply doesn’t know enough about this issue to care. Therein lies the opportunity, the urgency, and our responsibility as food and farming journalists because even as you read this yet more wine bottlers are converting to screw caps. Take a look where wine is being sold near you. Go back in a month and look again. It will shock you. Where do women, specifically, come in? 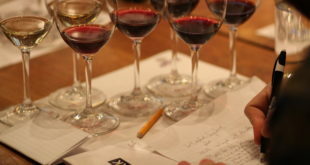 Last year, the United States became the world’s biggest wine-consuming nation for the first time. Much of that growth is fueled by women, who currently make 60% of all U.S. wine purchases. They increasingly use wine as an “everyday beverage” and don’t mind (and perhaps even like) the convenience of screw caps. Interestingly, something like 75% of all women say they are more likely to make environmentally-sound purchase decisions when given the option. 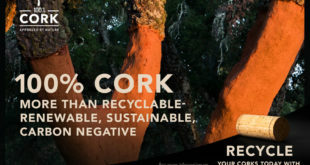 However, even my most eco-conscious friends have asked me, “Is cork good or bad?” They are surprised when I tell them that cork oak trees live to about 200 years old, are not cut down when cork is harvested (it is like shearing sheep), and that the tainted smell that can ruin a bottle of wine and was prevalent in the 1980s has been virtually eliminated through scientific advances and improved quality control. 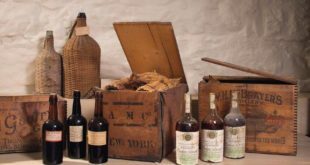 This is one case where a little knowledge can be world-changing, as American women collectively can save the cork oak forests by choosing wine sealed with real cork. 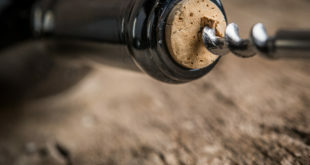 For those who prefer the convenience of screw caps, they can request the world’s first screw cork, which is scheduled to be released in the U.S. this year. That’s the best of both worlds, and still good for the world. Even if screw caps ultimately “win,” there is value in preserving the natural resource of cork for future generations’ use in other applications.